A Bat Mitzvah pre shoot that was planned to show the child's extra curricular activities. Sports - tennis and skiing, fashion, and camp. 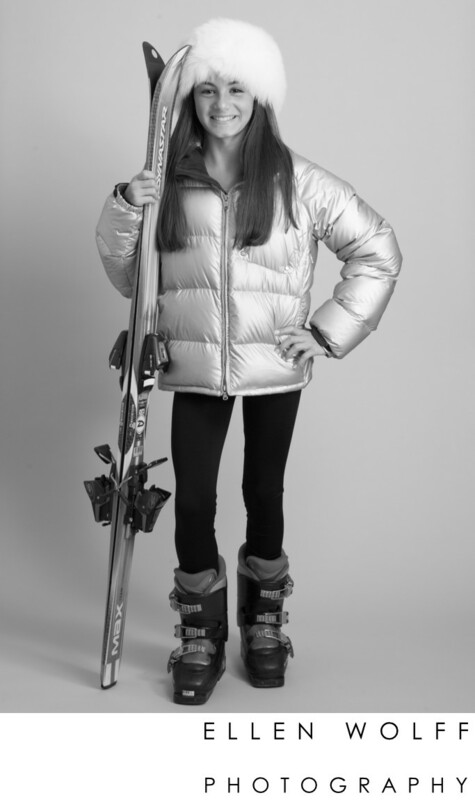 Here is a skiing portrait from the session, converted to black and white that was used for room decor.